The demand for illegal wildlife and wildlife parts and products is driven by a diverse set of social and cultural forces. Some are historical. Shark fin soup, turtle meat, and tiger bone have been consumed for centuries as food or medicine. The practice of keeping exotic birds as pets is just as old. Yet contemporary demand also reflects modern consumption trends. Illegal wildlife parts are used today as party drugs, to signal social status, or as gifts that show respect to authority figures. 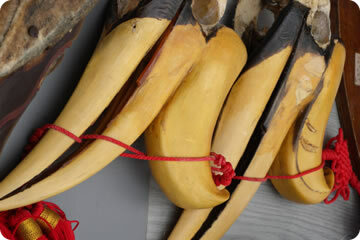 Examples include rhino horn, elephant ivory, and trinkets made from the casque of the helmeted hornbill. Patterns of demand for illegally traded wildlife and wildlife parts and products differ across the world. 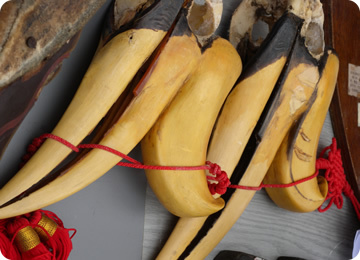 In East Asia, both elephant ivory and culinary delicacies such as bear paw soup are aspirational goods for a population that is growing richer. In the United States, illegal wildlife and wildlife parts are primarily sought as exotic pets, hunting trophies, souvenirs, and luxury fashion items. For example, there are more tigers held captive on private American property than are left in the wild. Some 5,000 tigers are held privately by US individuals, of which only 6% are in the care of accredited zoos. It is widely acknowledged that much more needs to be done to reduce demand for illegal wildlife and wildlife parts.